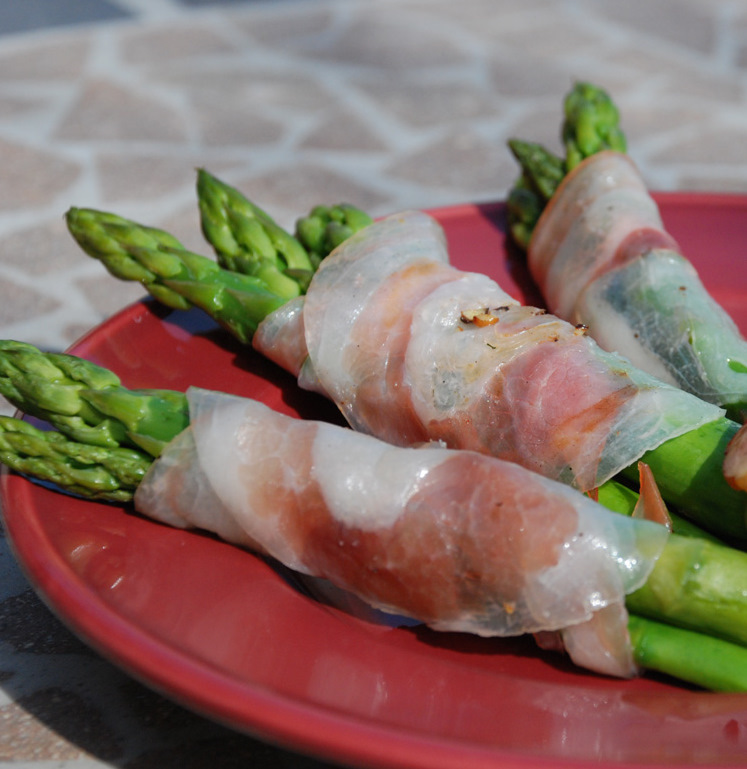 With Mother’s day approaching I thought it would be fun to give some easy fun ideas for grill appetizers. Bed and Breakfasts are known for serving really creative breakfasts but what many folk do not realize is many Inns also go all out for afternoon hor dourves or even an evening dessert buffet like the one found at one of our own 8 Broads, Lynnette, at the William Henry Miller Inn. All that to say that we can be creative in all kinds of foodie directions, not just standout breakfasts! Here are a few really simple but yet special hor dorves. they are easy enough for the kids to help with and surprise Mom with something savory and fun. Enjoy. And to all you Mom’s out there I want to wish you a happy Mother’s day. Pancetta is found in the deli case at your grocery. It is the Italian version of bacon and comes in 4 inch diameter rounds. For this recipe you want to ask for it to be sliced paper thin. In a flat sauté pan bring 2 cups of water to a boil. Heat the grill. 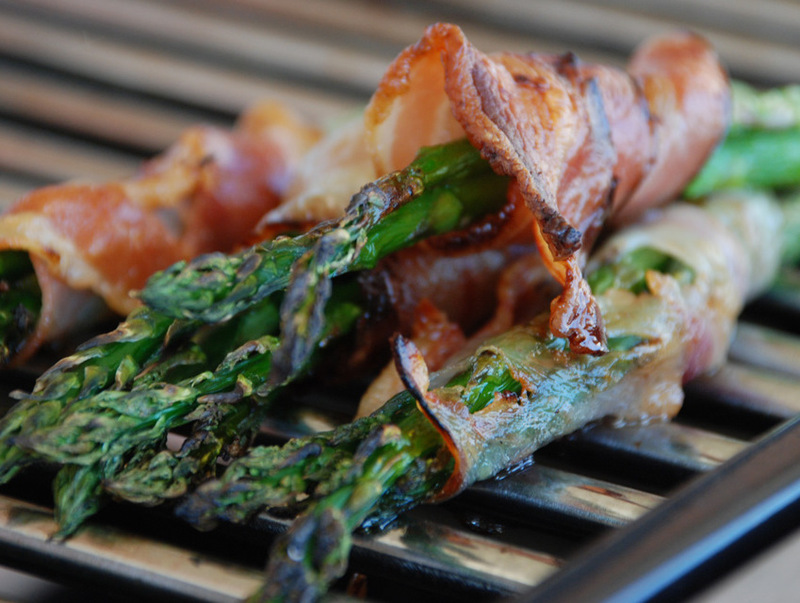 Place on the grill turning often till the pancetta is crisped. These are fun and kids will enjoy helping you thread everything onto the skewers. Perfect to make ahead and bring out when the steaks are almost finished! Flash grill these on a hot grill on the side just when you are about ready to serve. They are finished when the tomatoes split but the mozzarella has not melted. Serve immediately. 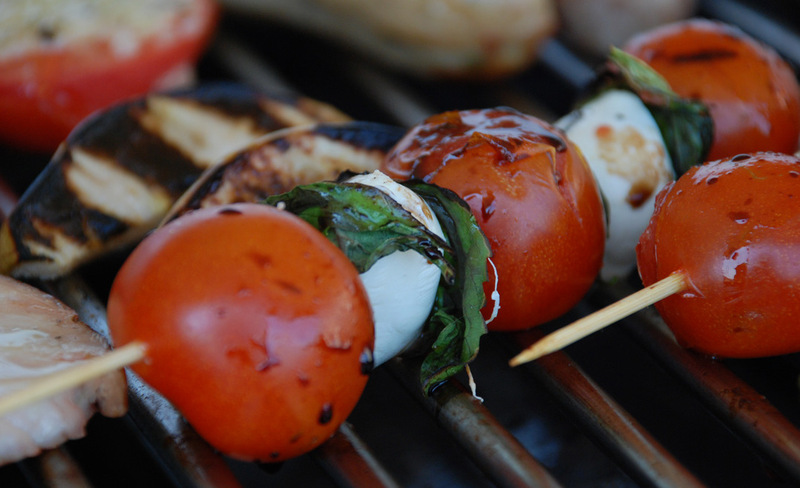 Do not hold these warm on the grill or your mozzarella will melt off the skewer.